At BridgeEnglish, we base our curriculum on the concept of full immersion. Students enrolled in our programs speak English in their classes, with their host families, and at events outside of the classroom. Otisa is the new Front Office Coordinator at BridgeEnglish in Denver where she is actively engaged with the students at BridgeEnglish and plans the student activities. We asked her some questions about these activities and their overall importance. Here is what she had to tell us! What events do you have coming up in the next few months? 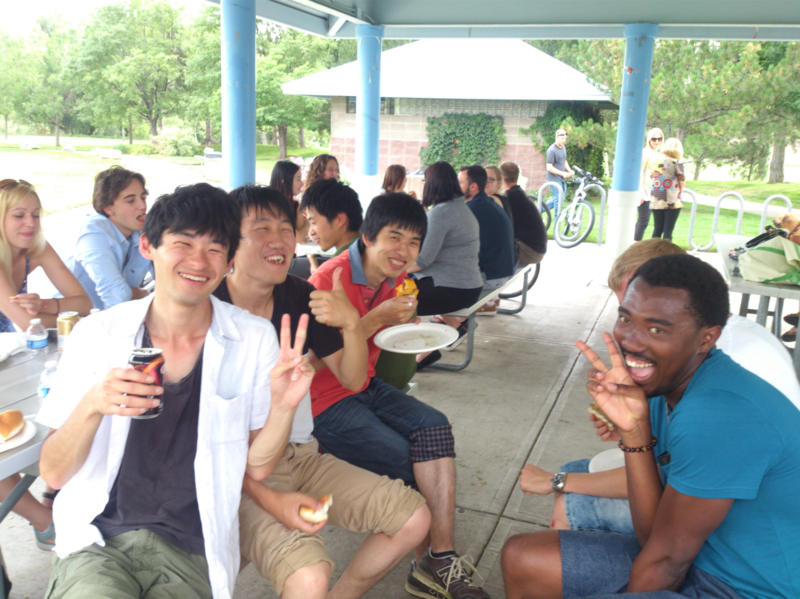 We do a lot of monthly events such as our Conversation Club, Happy Hour (the student’s favorite event, might I add). Starting in November, I want add a Bridge Movie night each month as well. A lot of the students have been asking about doing a movie night, and I want to make sure that it happens. How do out of class activities benefit the students at BED? I believe that the out of class activities benefit the students at BED, in giving them extra opportunities to practice conversational English (whether with a teacher or with their peers.) Also, students can get to know the Denver area while practicing their English. Recently, we had a Happy Hour at Kate Mullen’s Irish Pub. The student’s had a lot of fun having a couple of drinks while having conversations with other students and staff. Happy Hour has been a very popular activity among BED students; I always get positive feedback from the students! How do students engage with each other and teachers during the activities? 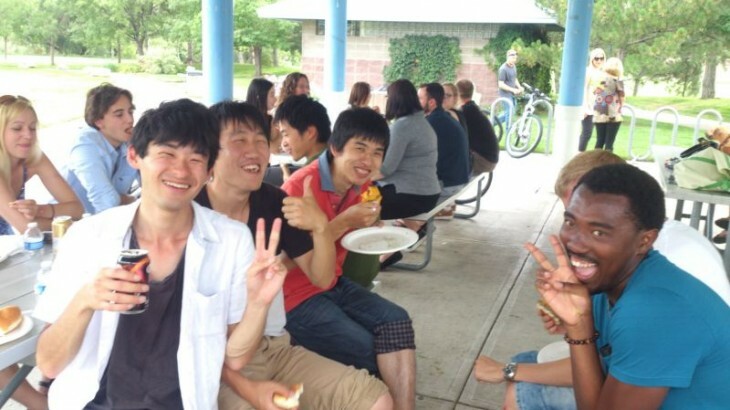 Students engage with one another as classmates and as friends while sharing an American Cultural experience with one another. This is the time for students to socialize, while the Teachers act as facilitators. Teachers may have a mini English lesson if, and when it may arise during the activity. In you opinion, why is Denver a great place for activities and learning English? Denver is a great place for activities because it makes it easier for students and teachers to meet-up. I think living and going to school in Denver allows students more opportunities to practice their English. Students tell me that they go to hockey games, or concerts in Denver and they love that there are plenty of things to do here. Does the new center allow for easier access to activities? Yes! The new center makes it easy to access activities or any events going-on in the area. The access to public transportation such as the train or the buses, also make going to events or activities easier. What are the costs for activities? The cost of activities really depends on how many people are going and what activity it is. But it can range from $13.50-$35.00. Learn more about our English Programs: Academic English, Business English, and General English! esl-blog, Uncategorized full immersion English program, learn English in the US, student activities, study English in the US. permalink.